Barbie is well versed in fashion and it seems that it is incredibly in love with this thing. As soon as she finds out that there will be a fashion show, it immediately tries to take part in it. So this time, our fashionista learned that she was invited as a designer at a great fashion show. Now it is precisely plunge headlong into the fascinating world of the creation of new images for herself and her models. Barbie also create an account on the social network Pinterest, and she has a lot of subscribers. 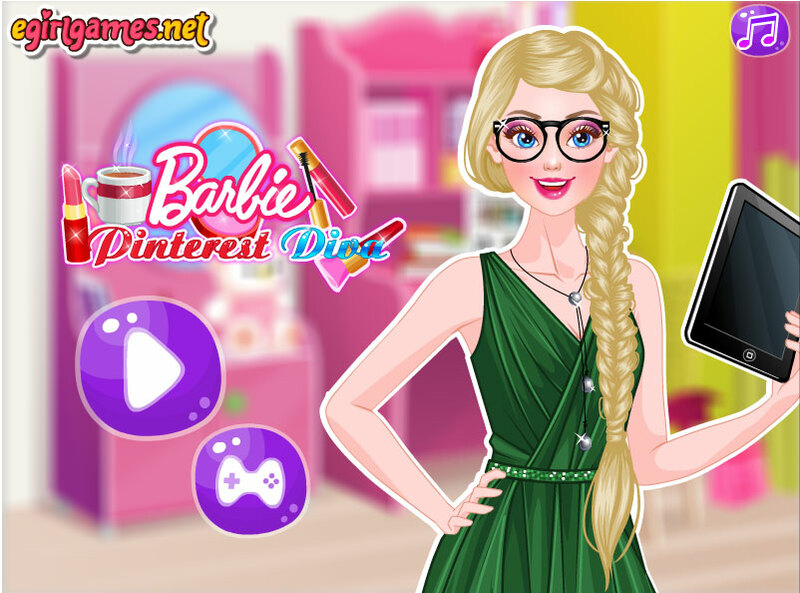 In this game you will help and advise a large Barbie fashionistas, who will take part in a fashion show as a fashion designer. To get started, choose for her clothes and then be engaged in make-up. If you want to view images that have created Barbie in Pinterest, then click the question mark. Played: 85977. Added: 2-02-2016, 18:57.